Are you excited for the comeback of the most popular Philippine MMORPG, Ragnarok Online? As an RO fan, probably yes, and its coming on June 20, 2017, mid-June as announced and promised by the publisher rewards to players who will continue to play on OBT (Open Beta Test). Other activities being done before the official Ragnarok Online PH CBT (Closed Beta Test) are Keymaster Contest, Funny Meme Contest, Ragna Festival, Fan Art Contest, Pick-up Line Contest, Hashtag Contest and many more. The winners of Ragnarok Online PH Keymaster Contest from different regions are the following guilds: AWAKEN (Pampanga), ASTRAL RUINA (Baguio), FREE GER ROUX (Cebu) and STEELWOLVES (Bacolod). On the other hand, Ragna Festival was held on The Annex, SM City North Edsa, Quezon City on May 7, 2017 with Filipino rock bands performed including Sandwich and Imago, and a cosplay event. The Facebook group pages ROPH Official Community and ROPH Guild Masters are being administered by CM Darwin, ROPH Community Manager. Announced at Ragna Festival and the Q & A Session, ROPH will be launching a Revo-Classic Ragnarok with 2-1 job classes at the vanguard. According to RO players, in Revo-Classic, a single level 99 character is equivalent to 3x level 99 character of the old Philippine Ragnarok Online. Other player concerns like Multi-client issues and Convert and receive by the old publisher Level Up! Games will also take into consideration by the new Ragnarok Online PH publisher, Electronics Extreme. According to Kamphee "Ken" Phiromwad, Managing Director of Electronics Extreme (Publisher), ROPH players expect that "Ragnarok in the Philippine server is Free-To-Win which the players are challenge to succeed in-game". In short its free-to-play and not pay-to-win, a good news to those players who can't afford to buy premium items or access the game the traditional way which is you need to top-up a certain amount for you to enter the game. We will see a fair gameplay to this comeback of the Ragnarok Online Philippines. The co-publisher, ELITE (Philippines) or the Elite Global Sourcing will be handling all concerns regarding technical issues and bugs that the players might encounter. On this, live chat will be also available for customer support. The CEO of Elite Global Sourcing is Mr. Johnny Paek. February 2017 is the first date that Ragnarok Online PH comeback was announced. Many fans also created videos to bring back memories of Ragnarok like the Impressive Ragnarok Prontera Theme Cover in Acoustic, Beatbox by Laurentius Rando and Christian Bong. 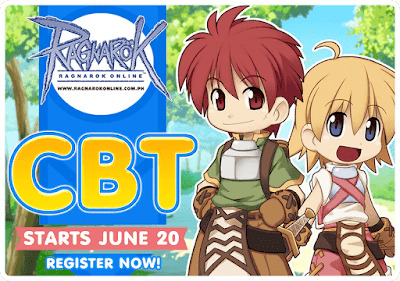 To register an account for Ragnarok PH CBT, visit https://www.ragnarokonline.com.ph/register and fill-in all the required fields. 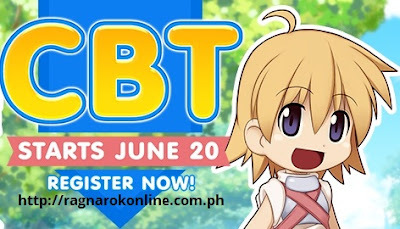 To know more about the latest updates for Ragnarok Online PH, visit https://www.facebook.com/RagnarokOnline.com.ph daily.